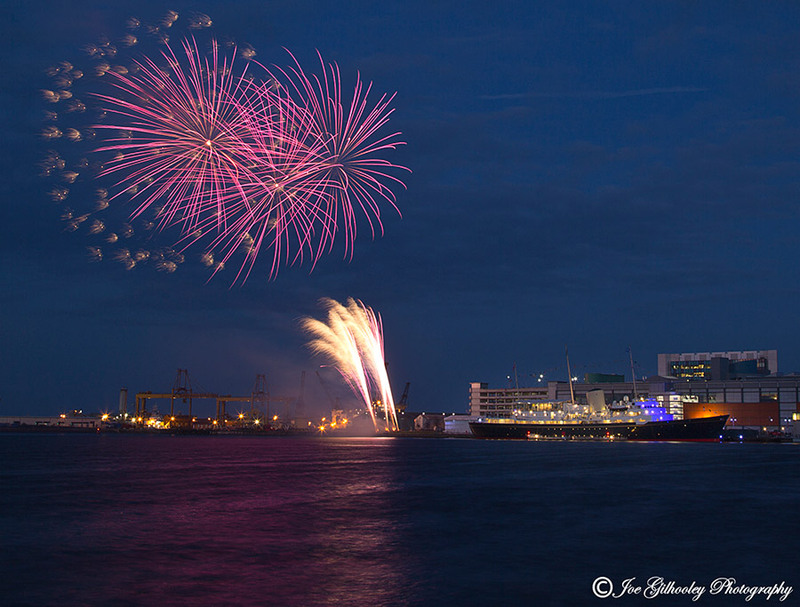 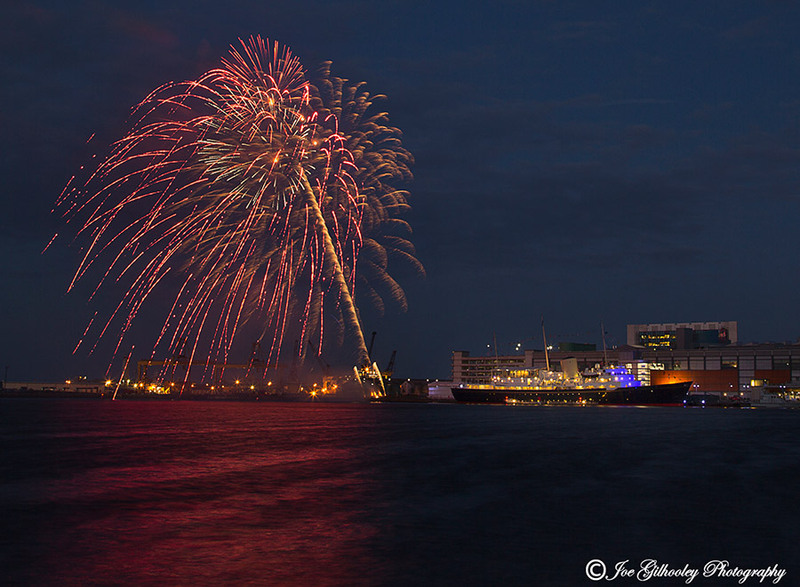 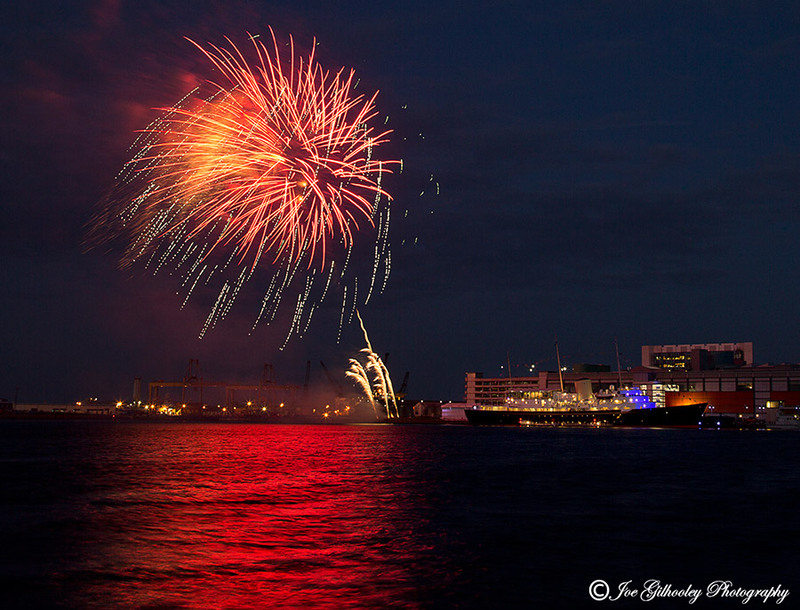 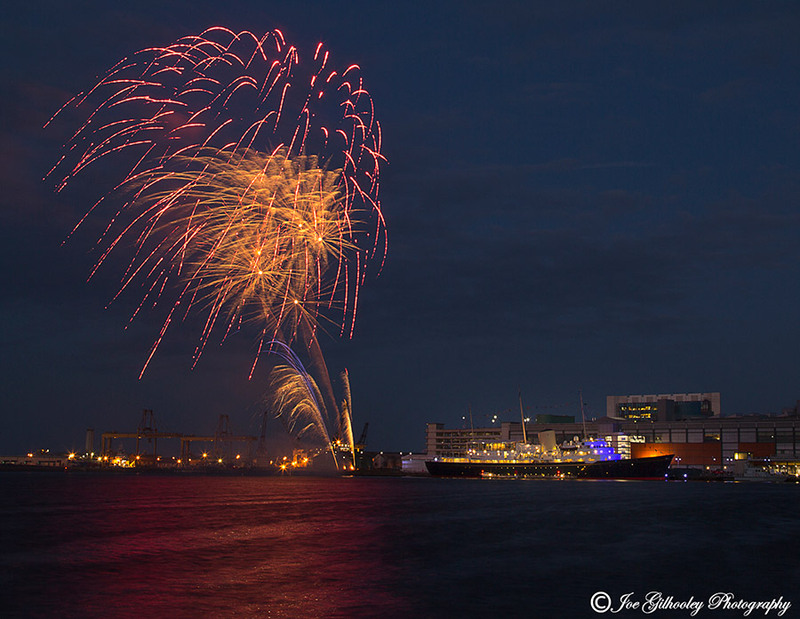 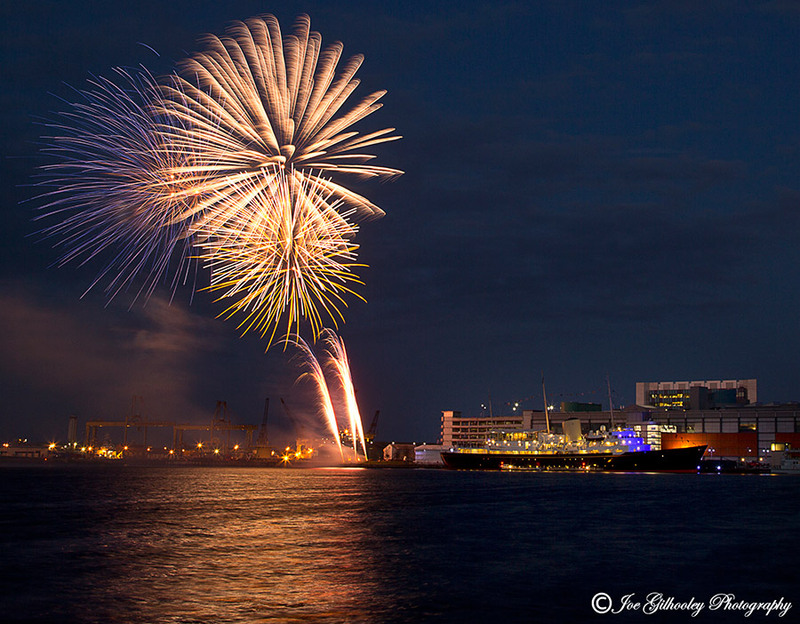 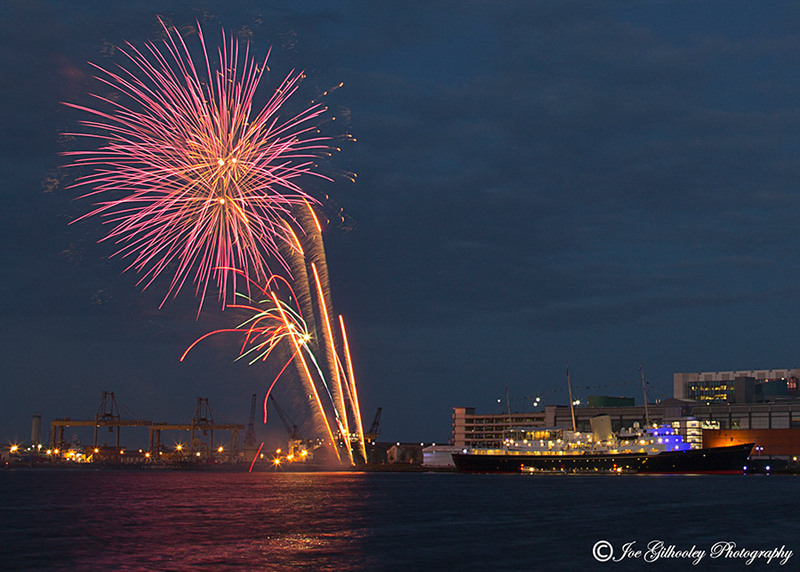 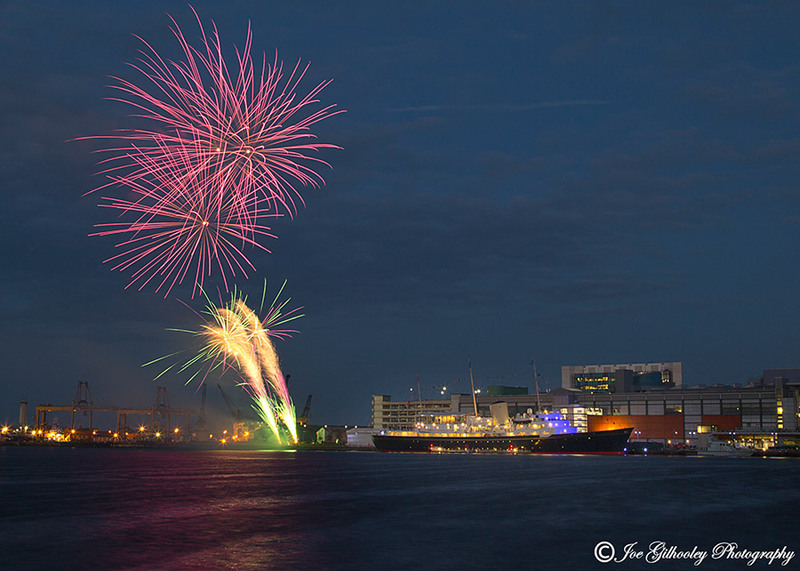 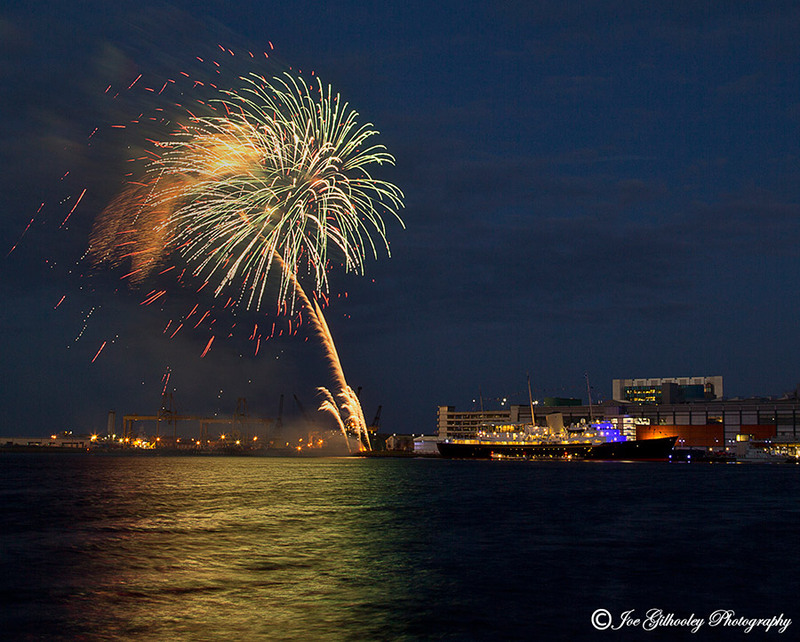 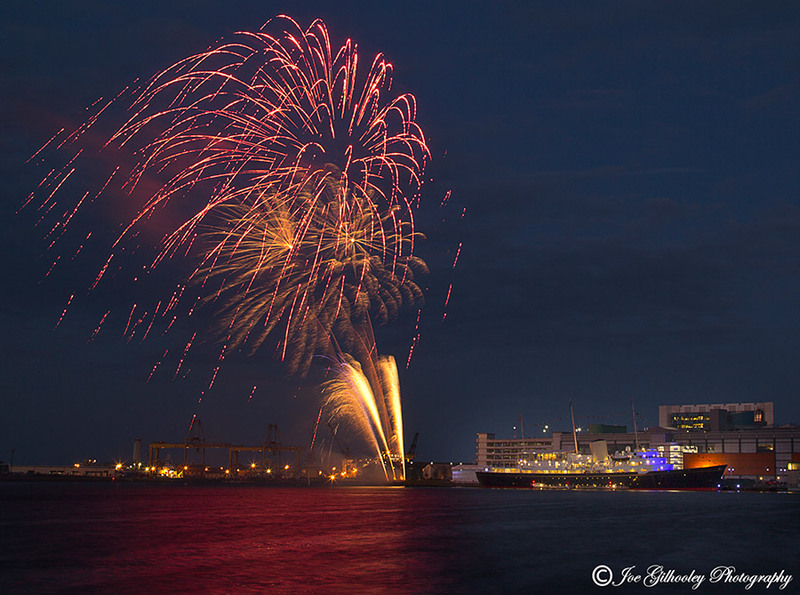 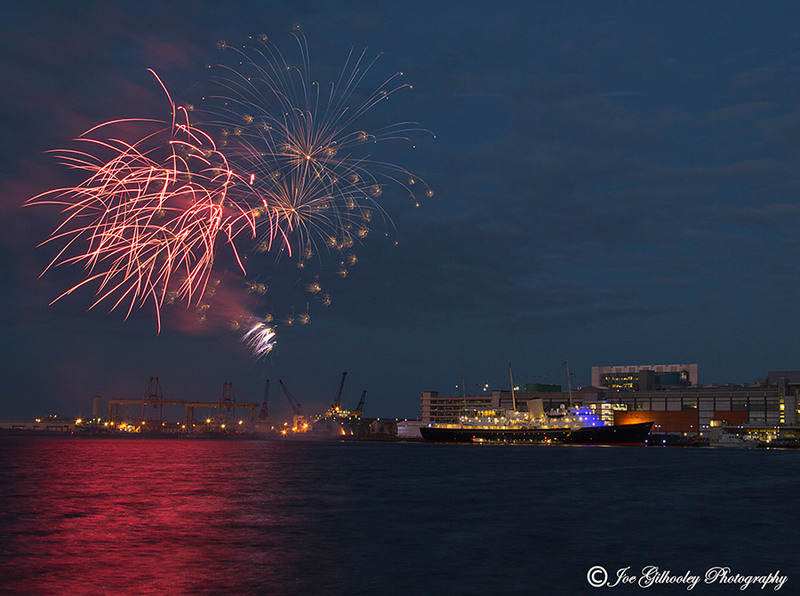 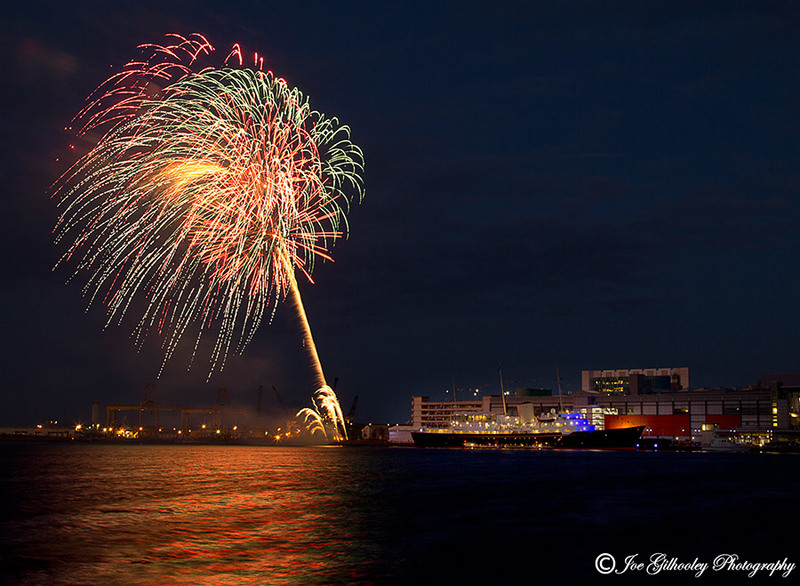 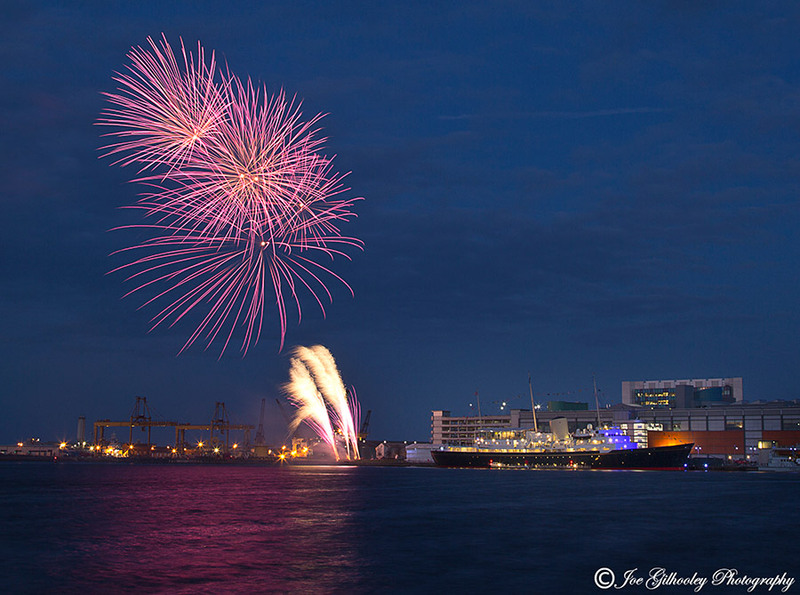 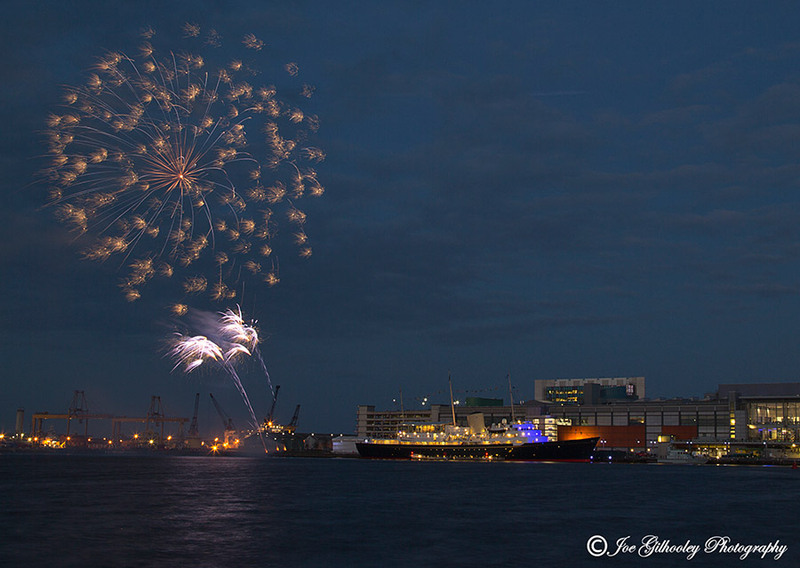 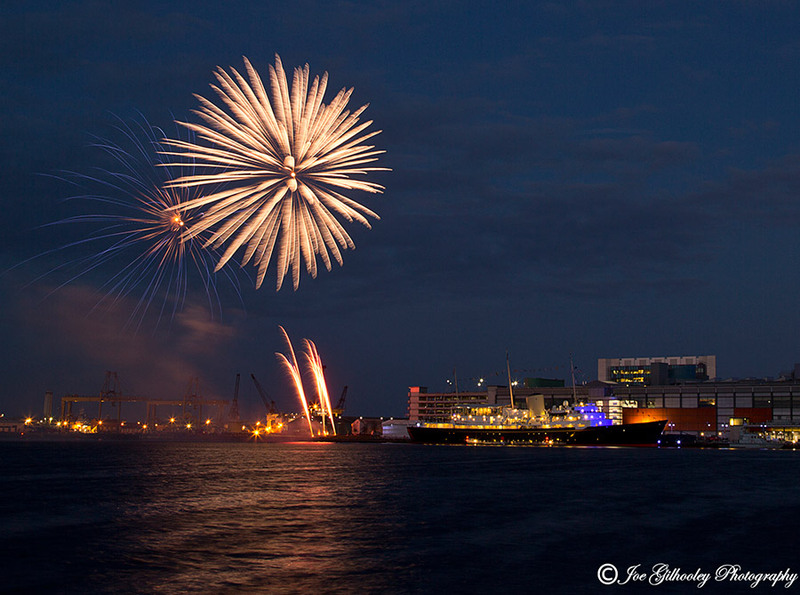 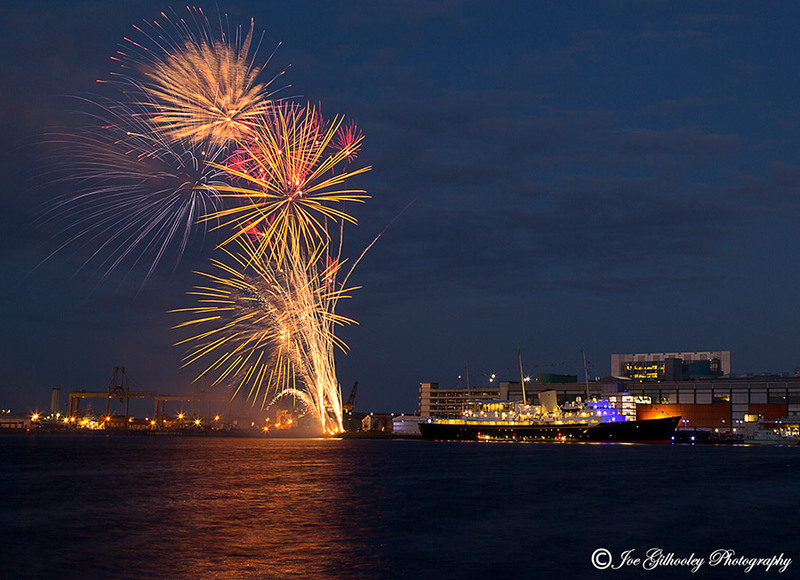 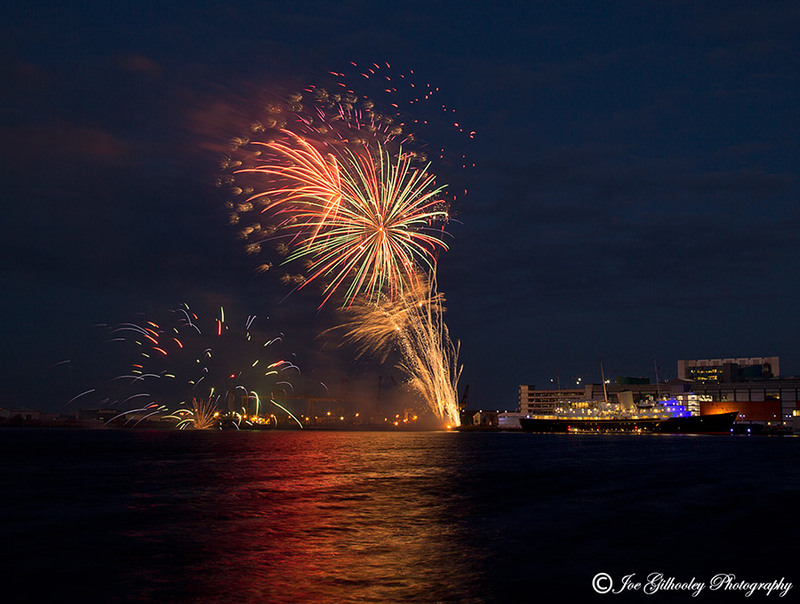 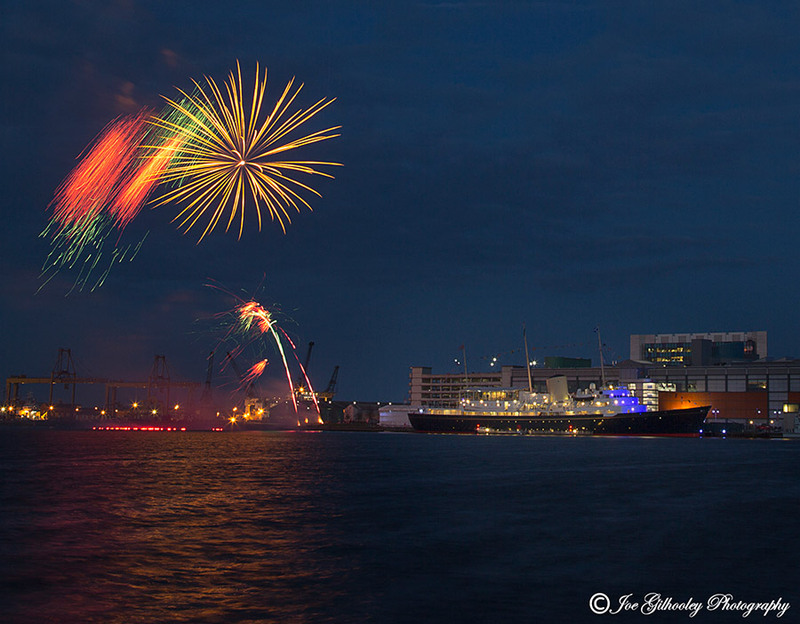 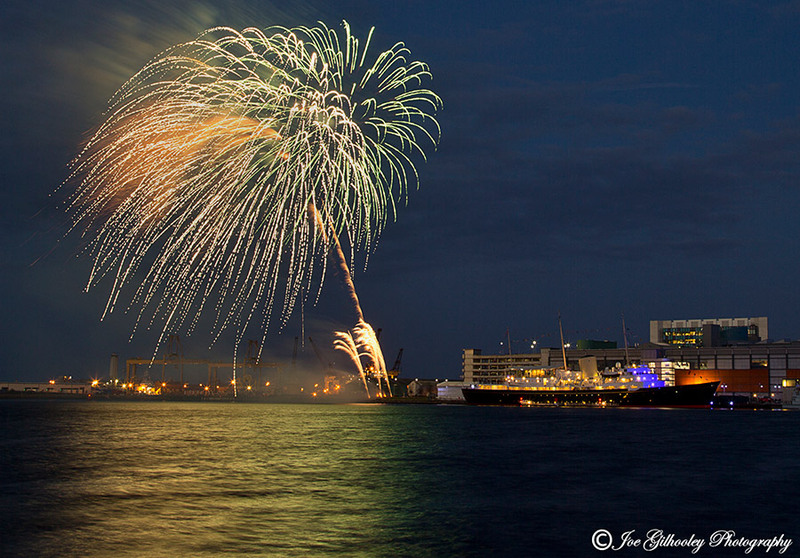 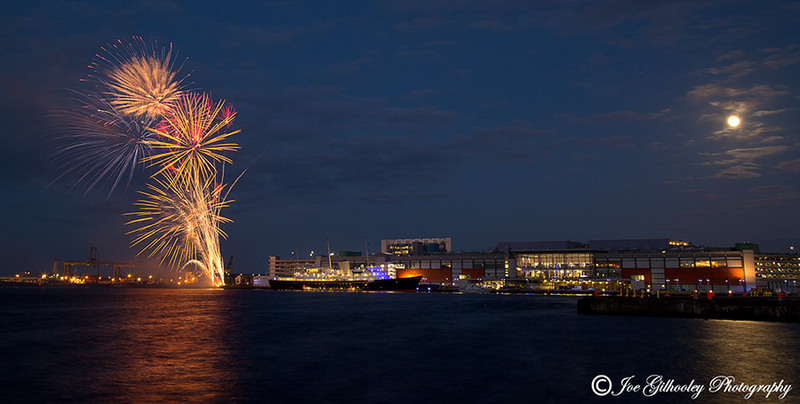 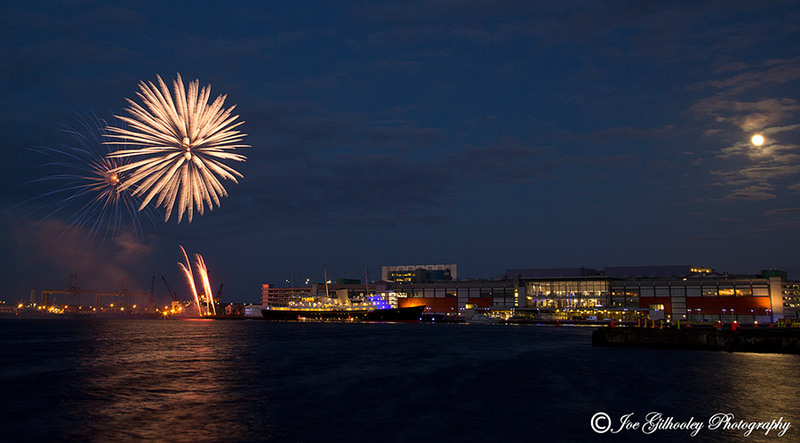 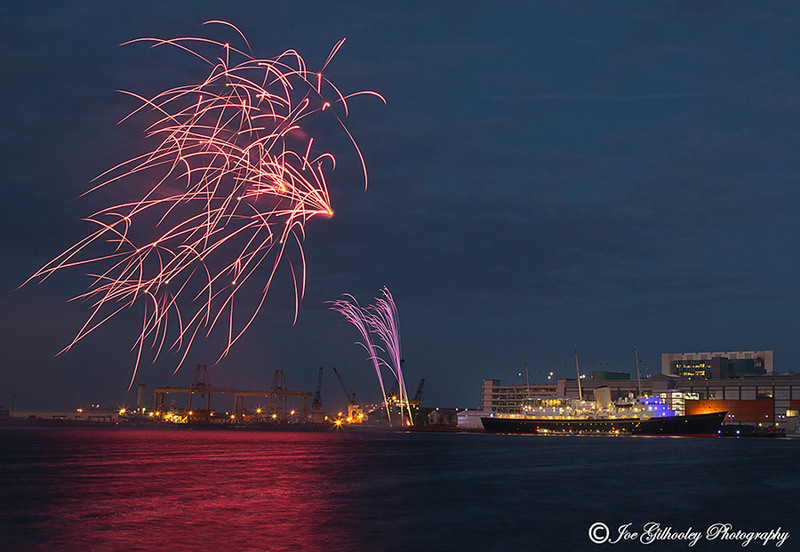 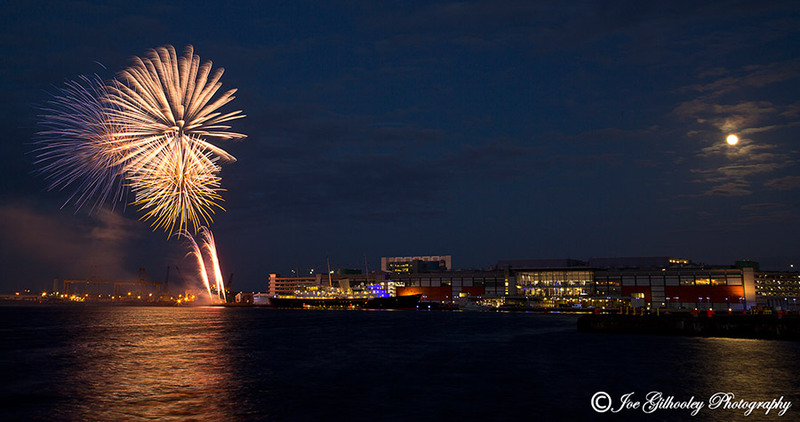 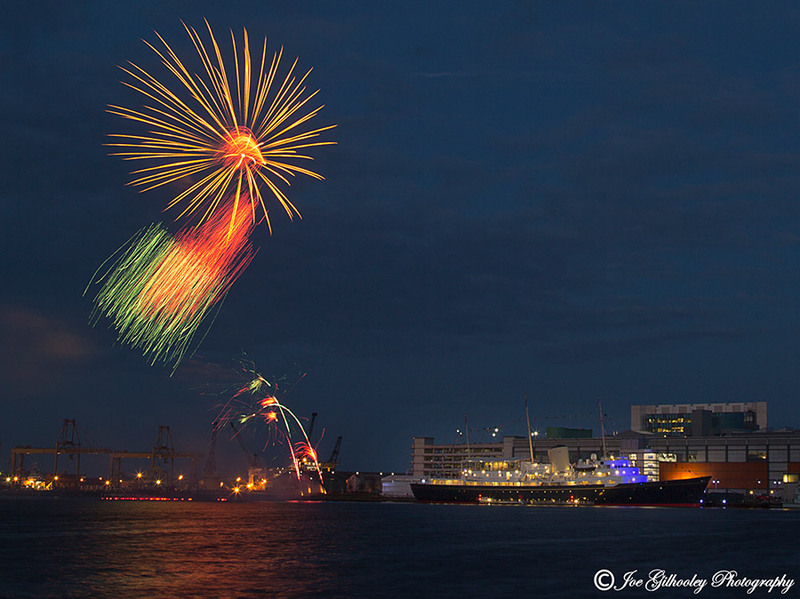 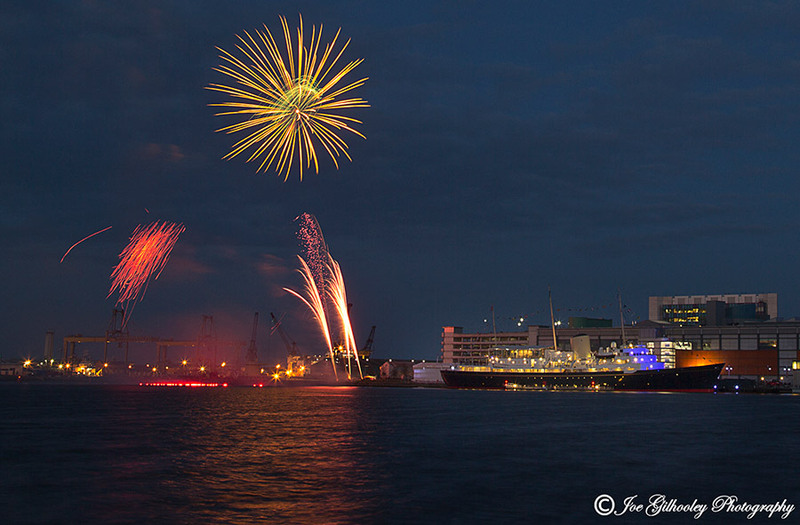 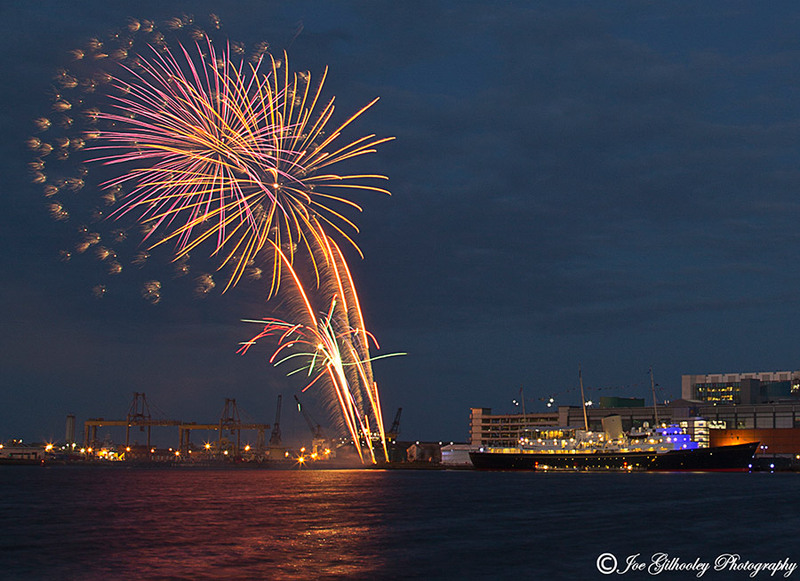 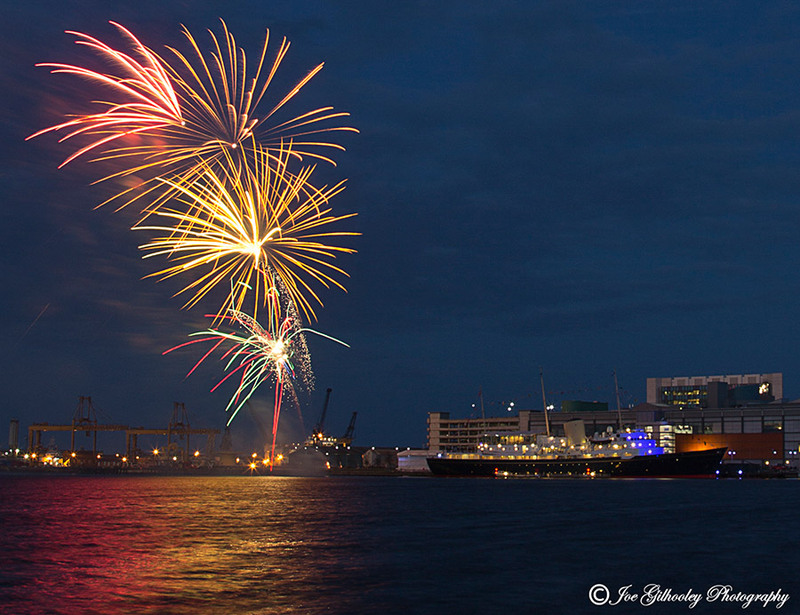 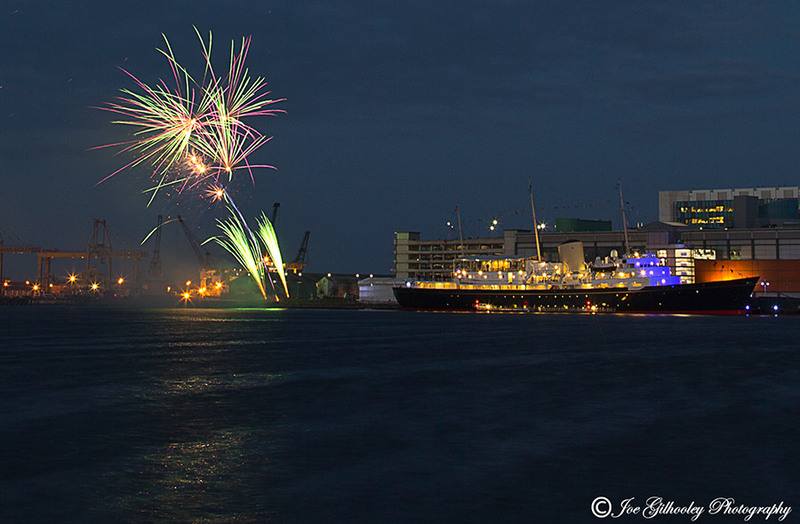 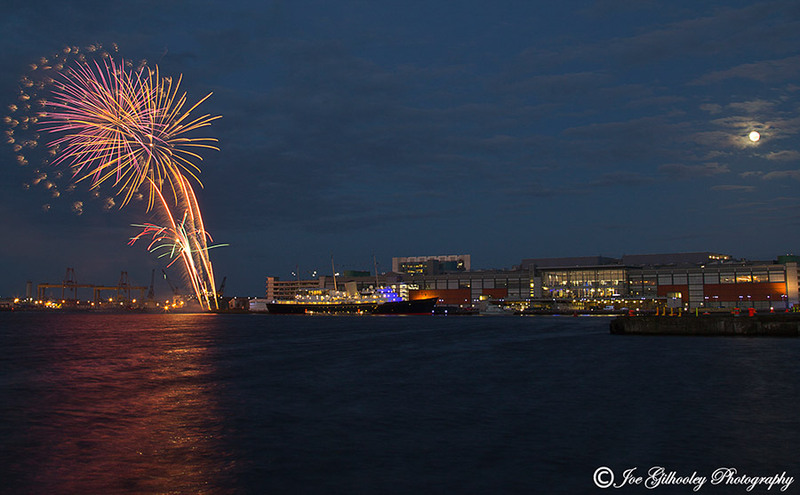 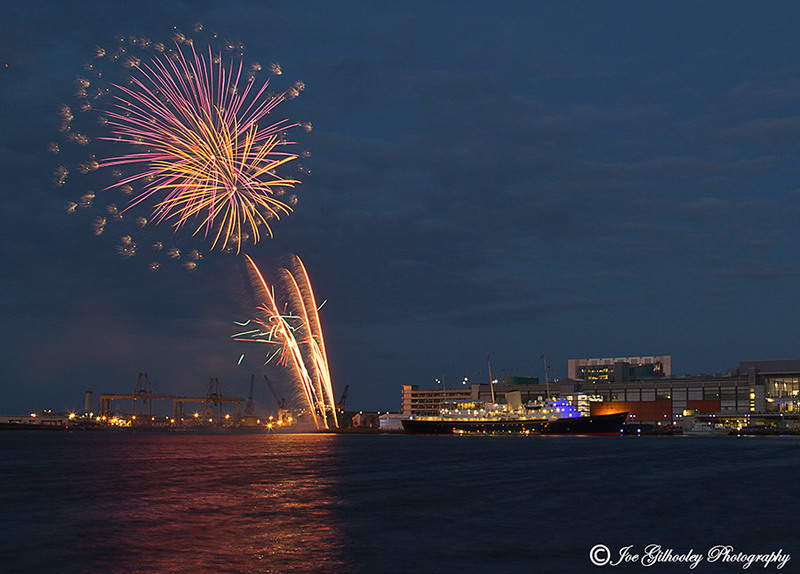 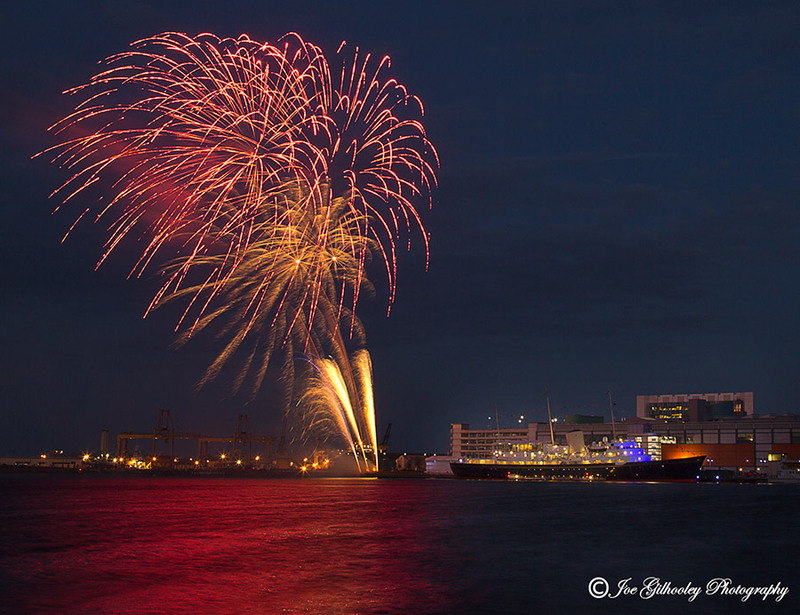 21st April 2016 - Queen's 90th Birthday Fireworks - Royal Yacht Britannia. 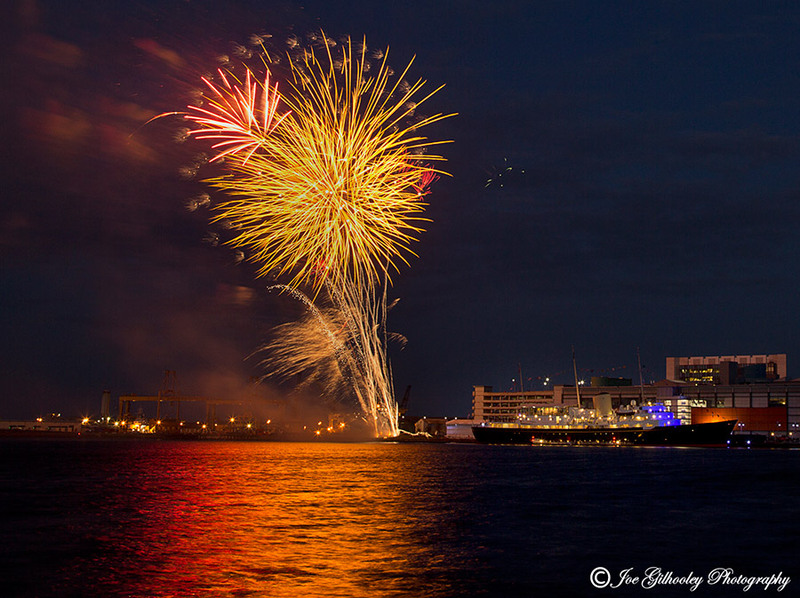 Ocean Terminal Leith. 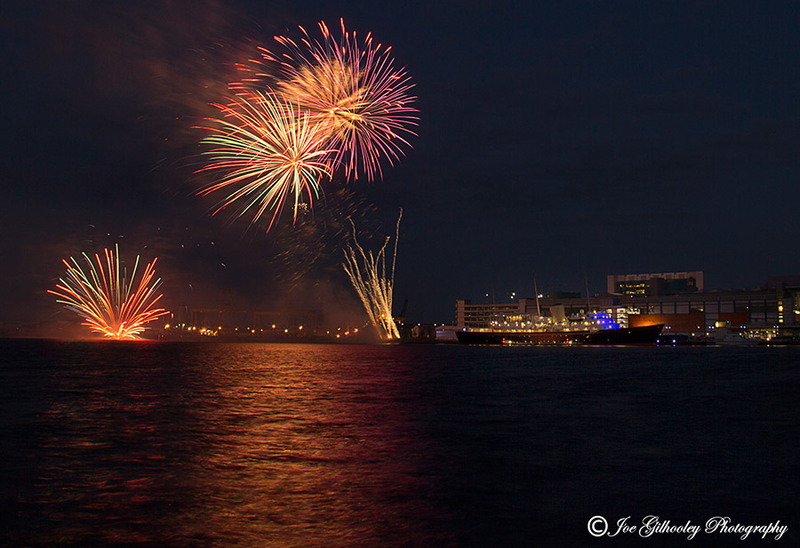 Wind was a pest along with not knowing exactly where the fireworks would be set off from. 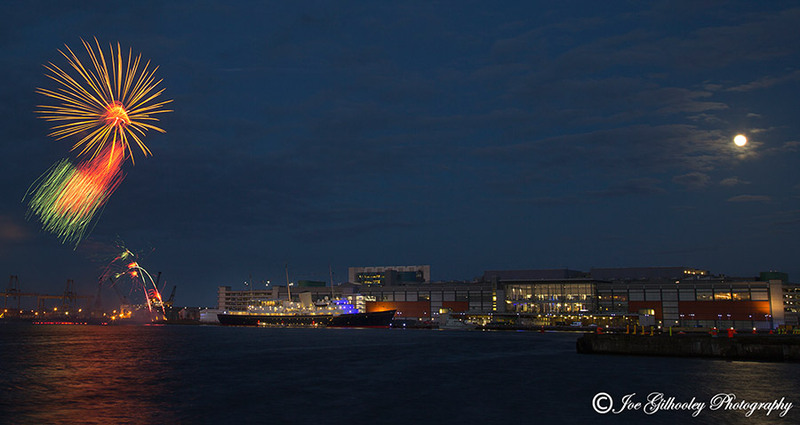 Managed to capture a few images , including some with the full moon in right side of wider shots.